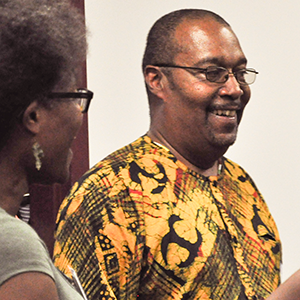 Craig Brookins, a faculty member in applied social and community psychology and program director for Africana studies in the College of Humanities and Social Sciences, has been appointed as an Outreach and Engagement Faculty Fellow, effective January 1. He will continue his responsibilities until June 30, 2017. Brookins will devote half of his time to the the duties for this position. He will work with campus colleagues and community leaders within the three Ultimate Community Partnerships of Wake County, Kinston/Lenoir County and Rutherford/Polk Counties to further discussions and build solutions for community needs, utilizing faculty expertise, research and student engagement from NC State. He will also work with Isothermal Community College on fulfilling the Appalachian Regional Commission (ARC) grant to study the potential for a Southeast Equine Education and Research Center. And he’ll shadow outreach and engagement leadership to learn more about those efforts at NC State, in North Carolina and across the country. Additionally, Brookins will assist with the planning and implementation of the Outreach and Engagement awards celebration and reception.